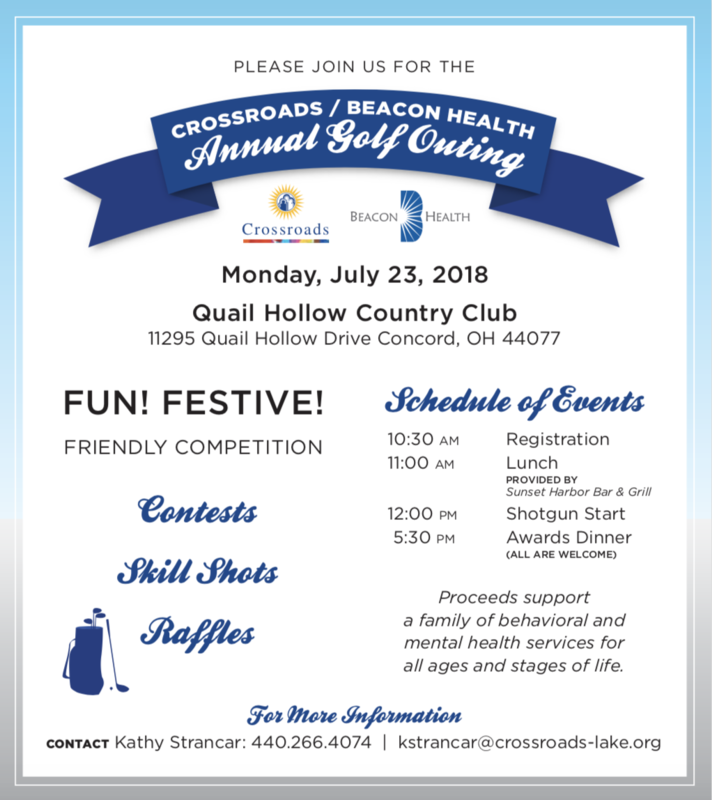 Join us for the 14th Annual Crossroads and Beacon Health Golf Outing on July 23rd at noon at Quail Hollow Country Club in Painesville, Ohio. Click here to get your tickets in advance. 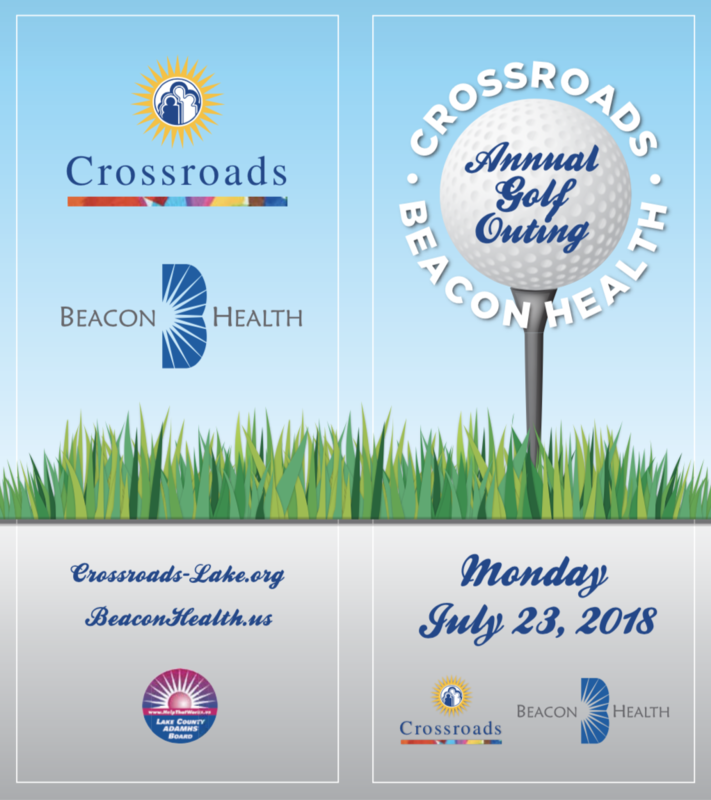 At that link, you can choose to get individual or group tickets, raffle tickets, and/or sign-up for one of our many sponsor levels.